So if you live in the Western United States, you know that wolves can be a real point of contention. Things can get pretty heated when the government helps to restore wolves back to a region over the objections of local ranchers and hunters. And it turns out that this conflict is not unique to America, as NPR's Martin Kaste discovered on a recent reporting trip in Germany. MARTIN KASTE, BYLINE: There are a lot of similarities between wolf politics in the U.S. and Germany, but those similarities do not include the protests. Anti-wolf rallies in Germany tend to be pretty German. KASTE: Hunting horns are the big draw at this anti-wolf rally in Potsdam outside Berlin. Hunters and farmers are showing their displeasure with the growing number of wolves in the countryside. Farmer Marco Hintze wants to be allowed to do something about it. MARCO HINTZE: That we are able to shoot. If we miss them, it's OK. If we don't miss them, it's not against the law. And that's what we're trying to fight for. KASTE: But right now, wolves are strictly protected by German and European law. That protection has allowed their numbers to grow rapidly, especially in the East since German reunification. And Hintze says part of the problem is that city people have romanticized the returning wolves. HINTZE: They think, oh, it's a nice wolf, and he needs to be in nature and be free. But people raised on the countryside - they don't need the wolf anymore. KASTE: Once the hunting horns are done, demonstrators show how they feel about wolves by introducing a character who's never very far from this debate in Germany. UNIDENTIFIED PROTESTER #1: (Speaking German). KASTE: Yes, it's "Little Red Riding Hood." A teenaged girl dressed the part steps to the microphone and starts the famous tale of what a wolf did to her. UNIDENTIFIED PROTESTER #2: (Speaking German). KASTE: But there are plenty of people in Germany who don't take Little Red Riding Hood's side. 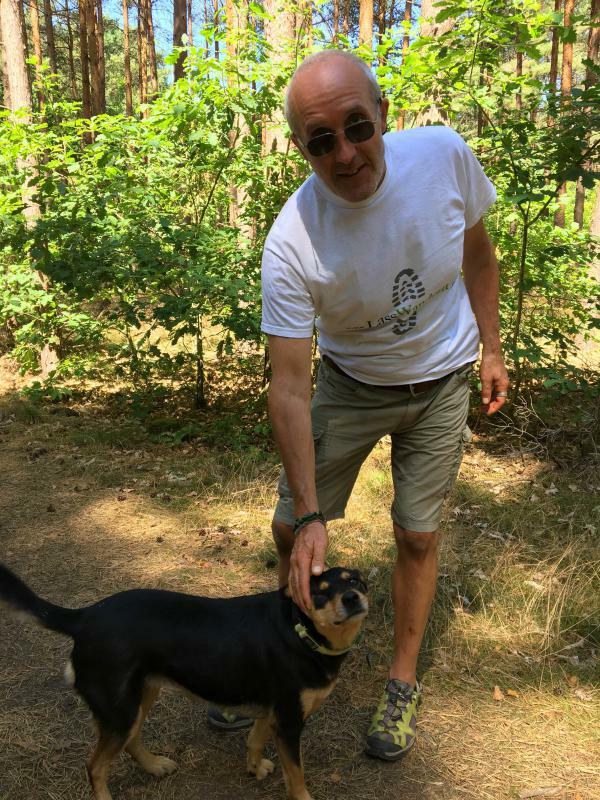 KASTE: Hans-Holger Liste is a soil ecologist and member of a pro-wolf activist group. Walking through the woods near his house, he says having them come back here has been thrilling. LISTE: If you meet them for the first time, it's like a spiritual experience. They stand there. They're not afraid of anything. They don't run from you. It just moves slowly away maybe. KASTE: He says his enthusiasm is shared by his neighbors, but this community is still kind of suburban within commuting distance from Berlin. Attitudes turn more anti-wolf as you get farther into farming areas. 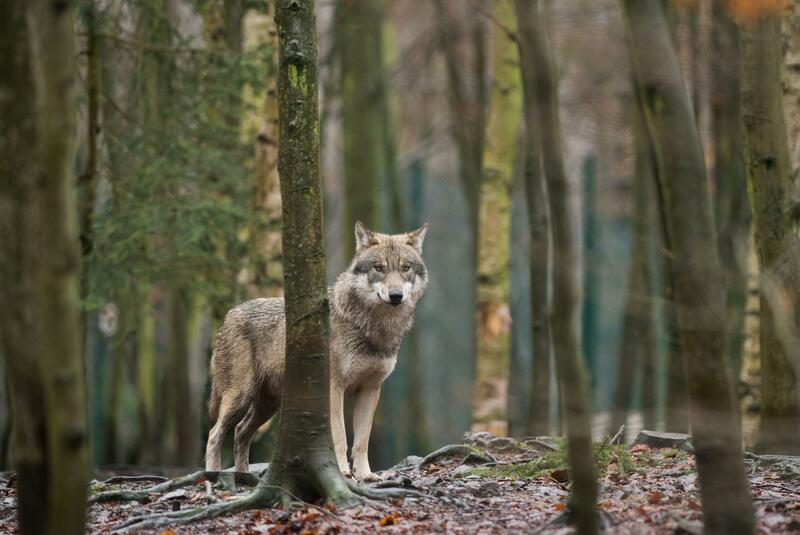 In a remote corner of Saxony this summer, wildlife authorities found a young female wolf that had been illegally shot and then sunk into a lake with a cement weight attached. LISTE: It was such a gruesome act of killing. As we called it and the media called it, it was like a - mafia-like killing. KASTE: But the anti-wolf people also have reasons to be upset. In another part of Saxony, a farmer found 40 sheep and five goats killed by wolves in one attack. Farmers get compensation, but all of this has made wolves a hot political issue in Germany. And Liste says just like in the U.S., it usually comes down to a simple matter of left versus right. LISTE: Definitely. I would say it's going to be the same. KASTE: He says the pattern was already clear in the last elections. LISTE: The Left Party and the Green Party - they were almost 100 percent pro-wolf. And the party of very conservative people were basically against wolves. KASTE: That party he's talking about is the Alternative for Germany, the upstarts on the far-right that gained so much ground recently by campaigning against immigration - human immigration. But now they're also against the wolves. KASTE: And at that demonstration in Potsdam, you get the sense that this is about more than just wolves. Again, just as in the Western United States, rural people here see the wolves as a symptom of an arrogant, out-of-touch government. Dirk Wellershoff is with the Brandenburg Hunting Society. KASTE: "I get the impression that our politics in all of Germany is getting distant from the people and our concerns," he says. "And we observe very clearly with the wolves how our problems are not being seen and solutions aren't being found." KASTE: At the microphone, Red Riding Hood is reaching the end of her story. It's the more gruesome grim version of the tale in which she and her grandmother sew stones into the wolf's belly. He wakes up, stumbles to the ground and dies. KASTE: A moment that's greeted by happy applause. Martin Kaste, NPR News. Transcript provided by NPR, Copyright NPR.